One of our own- my man Alex Rivera aka Playful Gorilla- is featured in the current issue of Gore Noir magazine. 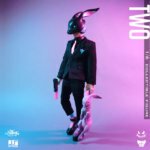 They published some of his art in addition to interviewing him, which is awesome, and Alex mentioned me and a bunch of our friends, which is also awesome. My first mention in this magazine. Big ups! 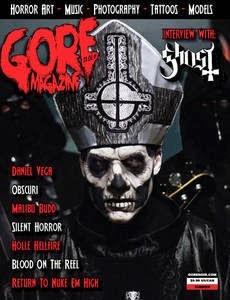 Gore Noir Magazine — Gore Noir Magazine Issue #11 Featuring Ghost! 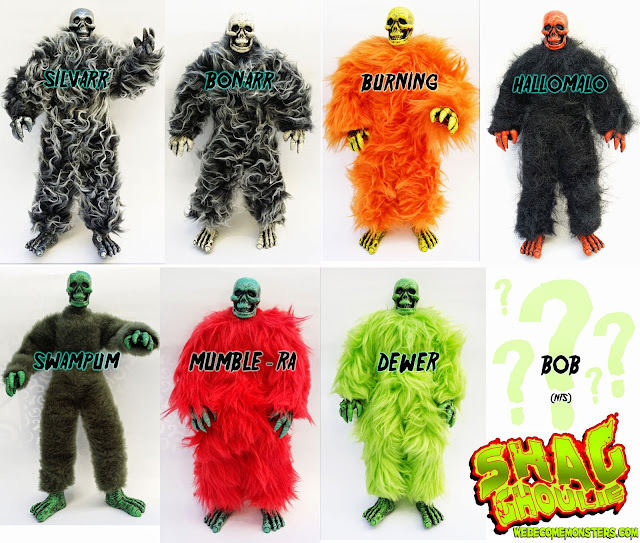 For November, we have SHAGGHOULIE! 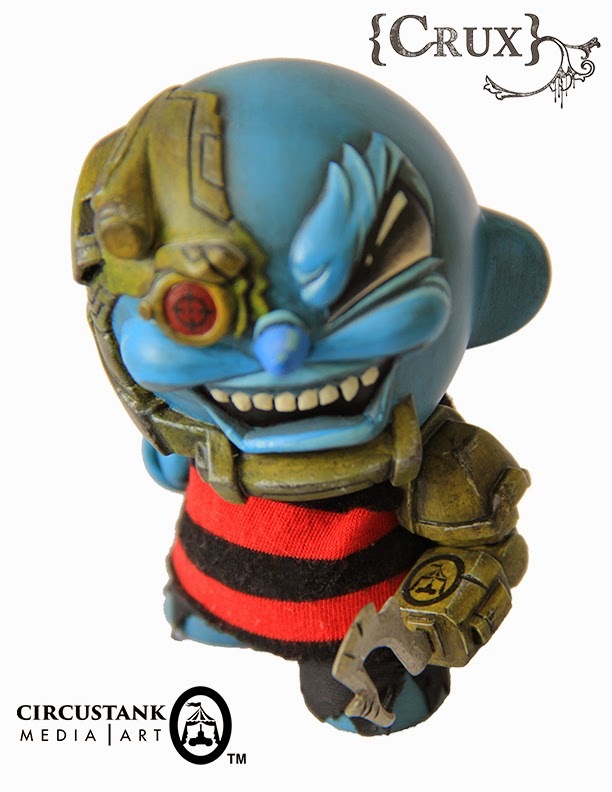 Available online at http://webecomemonsters.storenvy.com/ this Friday, 11/14, at noon Pacific time. $75USD plus shipping. 8 available. One of each available except Silvarr (edition of two). Roughly 13 inches tall. 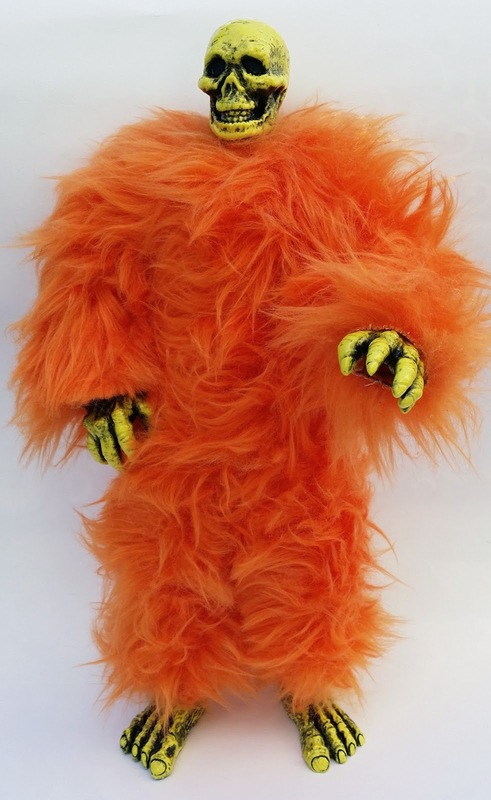 Articulated 1:6th scale body with custom resin hands, feet and head, and hand sewn jumpsuit. Hand cast, hand painted, articulated resin art toy / mixed media. All orders get a free micro SLAB (while supplies last) and entered for random drawings to get a full size WBM SLAB. SLABs are our waste reduction program that turns waste resin into art. Liking www.facebook.com/webecomemonsters also adds another chance for a large size SLAB. Slabs are running low, this release may be the last to offer them. All orders get some stickers too. Everyone would like to keep their childhoods’ innocence, but they are vulnerable in front of the reality. ‘Genetic Code’ stands for hereditary transmission that we, ‘humans,’ go through. We try to express the transmission by representing 2 bulldogs containing cute and rough images, respectively. 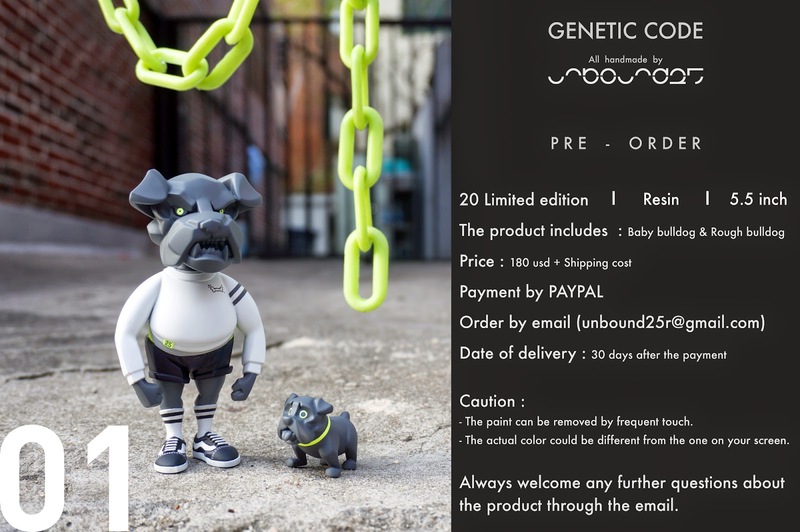 For example, the ‘Adorable Baby Bulldog’ embodies our childhoods’ innocence which seems hard to be kept through time and tide. In other words, the innocence (the inner world) along with outward appearance is vulnerable to changes as we grow up. In short, this product is our expression of changes from innocence to roughness. As a matter of fact, this is a quite normal and natural phenomenon (whoever the one is), likely to heredity. The paint can be removed by frequent touch. The actual color could be different from the one on your screen. 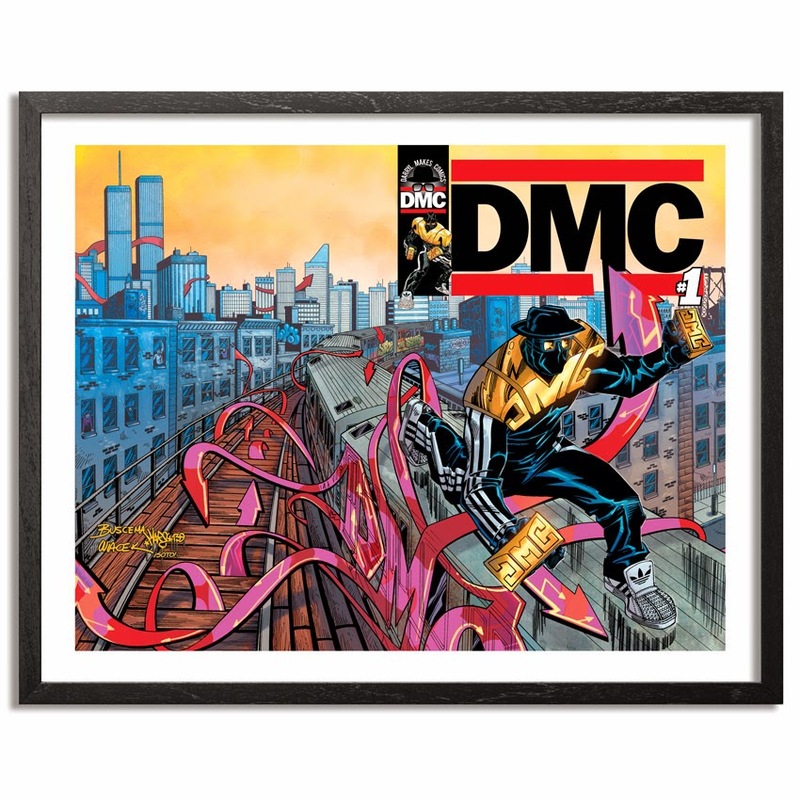 This RUN comes signed, numbered and with a Certificate of Authenticity from DMC, Mare 139 and 1xRUN. 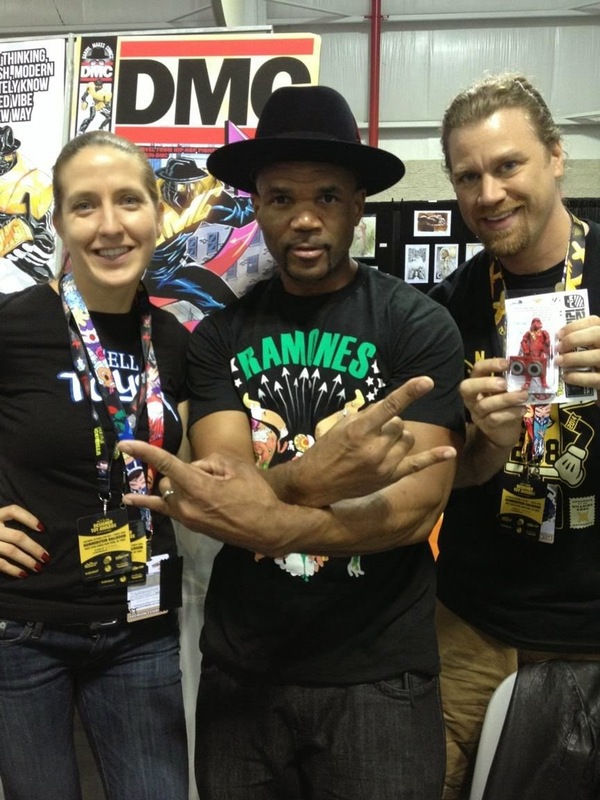 DMC supported us, gotta support the man! Go buy his print! 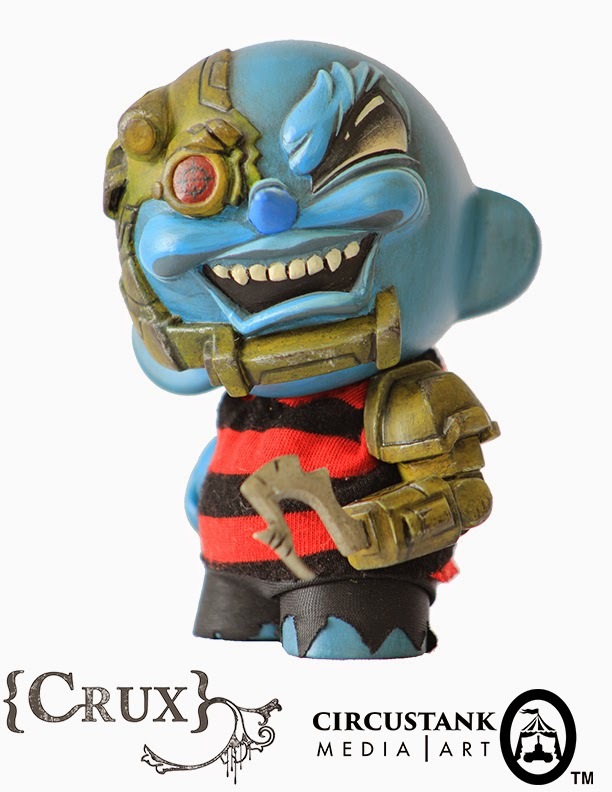 Crux Delgado recently completed a custom 4" Munny called "Sparky The Space Pirate", for an online art show titled "Space Pirates". 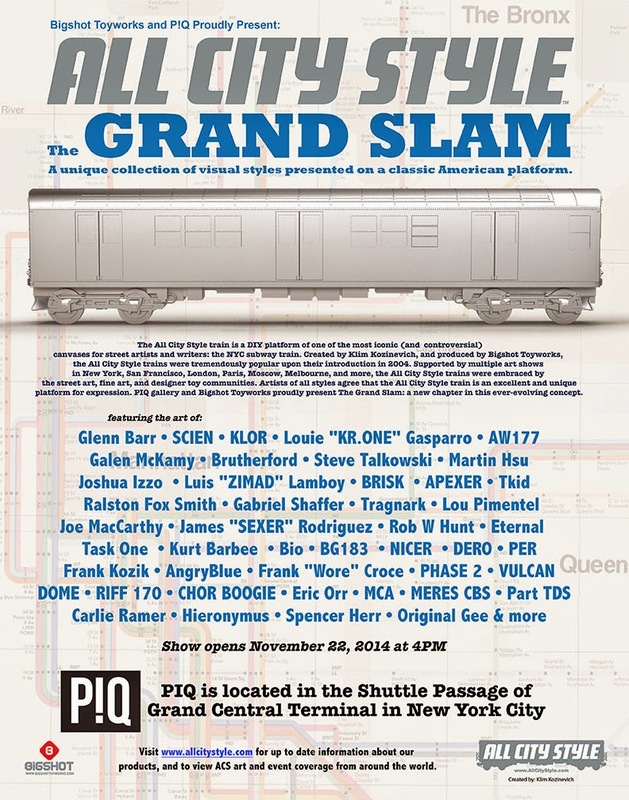 Now, the concept of an online only art show is quite absurd. Unless the FB Page hosting the show pays the proper premiums and does amazing press, the crowd which is going to see the show randomly is going to be quite limited. Even more so because of the strange limitations FB places on feeds. 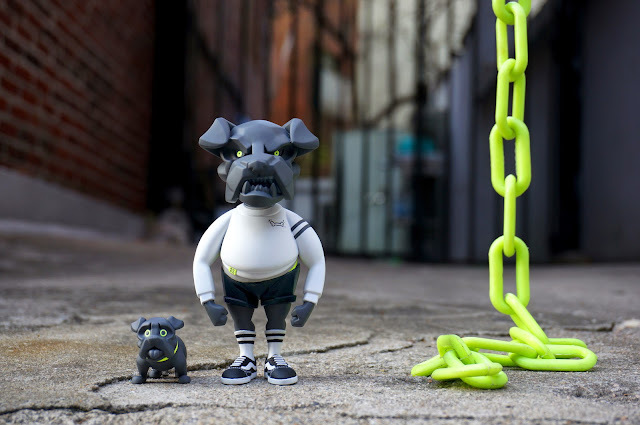 The online show aside, Crux's work is pretty cool. 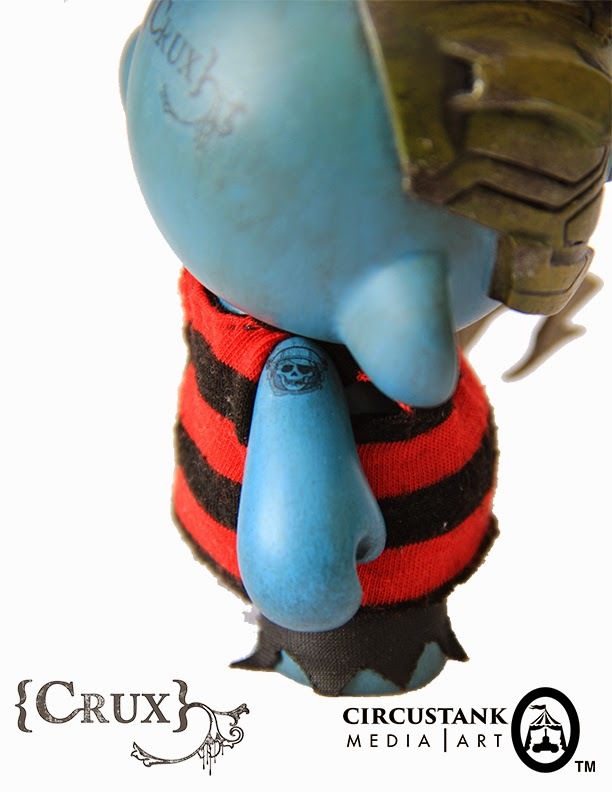 Using Super Sculpy and acrylic paint, "Sparky The Space Pirate" features some nice sculpting and even some fabric work. 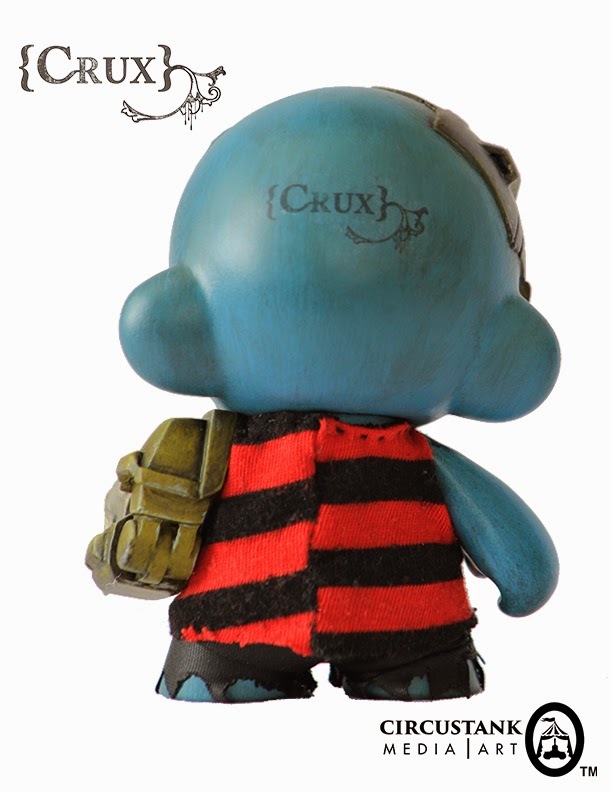 Crux enlisted his wife "Claraphi" to make the clothing. 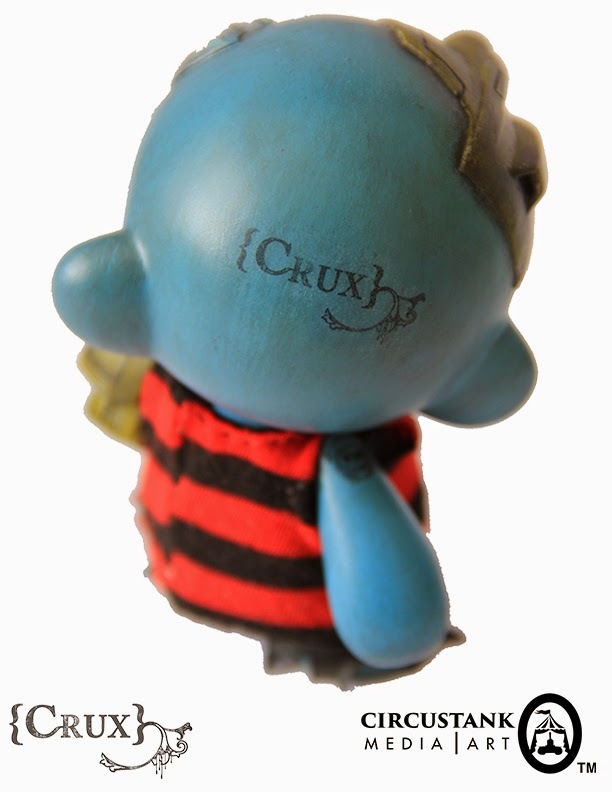 Overall, a very nice piece, which will be available through Crux's online shop for $180 (another problem with an online show, sales and shipping are typically handled by the artist). 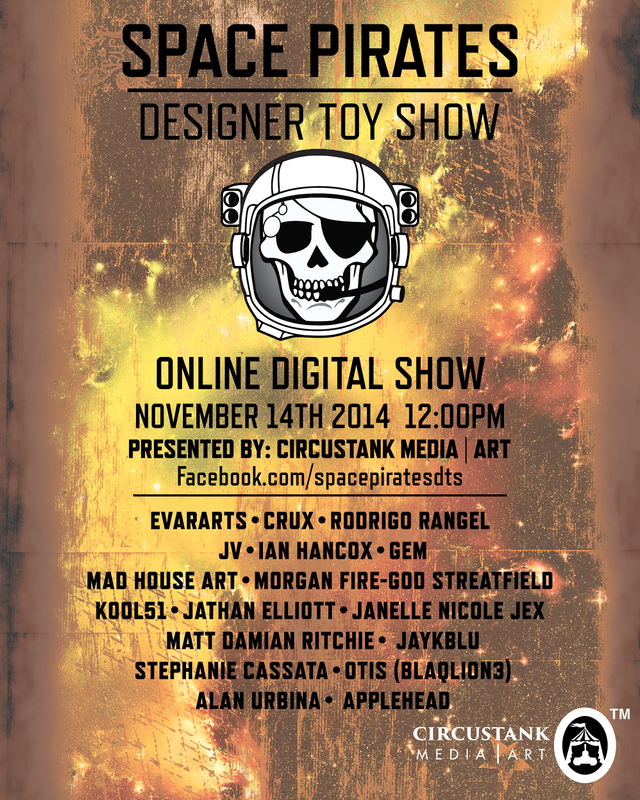 Be sure to check out the "show" on 11/14/14, through the Space Pirates FB page.